I wrote a few weeks ago about forfeiture-for-competition clauses, a different type of restrictive covenant that leaves an employee with a choice to compete at the price of relinquishing deferred compensation or stock option proceeds. Though there is a divergence of opinion on the issue, the majority of courts hold that forfeiture covenants will not be construed as non-compete agreements and thereby require an overlay of reasonableness. As my prior post indicates, the case authority adopting the minority view, however, is prevalent. In Medtronic v. Hedemark, the Court of Appeals of Minnesota examined a forfeiture-for-competition clause in a stock option award agreement as a de facto non-compete agreement. In that case, Hedemark's agreement provided that, if he left to join a competitor within six months of exercising stock options granted to him under Medtronic's plan, he had to pay back those proceeds on demand. The court granted summary judgment in favor of Medtronic but denied the company's request for attorneys' fees. The case analysis proceeded to examine the forfeiture clause as a restrictive covenant, even though technically Hedemark was free to compete (albeit at a price). The court found that the covenant supported a legitimate business interest in promoting employee loyalty and stable relationships between the sales force and company customers. The court also found the forfeiture clause reasonable in scope. In particular, the court focused on the degree of control Hedemark retained over the clause's application. All Hedemark had to do was wait six months from the time the options were exercised to leave and join a competitor. The case does not address at what period of time this may become unreasonable. Finally, the court was not troubled by the lack of a territorial limitation on the forfeiture clause. 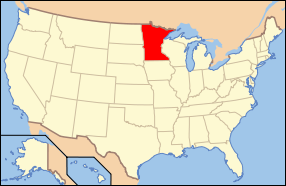 In Minnesota, non-competes without territorial limits are "often held to be unreasonable." Even if viewed as a non-compete, the issue of reasonableness will tend to favor employers in forfeiture-for-competition clauses unless there is an overbroad definition of "competitive business" or if the clawback period stretches on for several years.